Blond. My wife's favourite beer. I must always have this on stock! 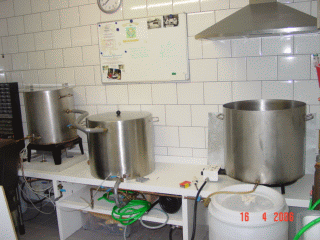 In 2007 this beer was awarded the second prize in the free class (class V) at the Dutch Championship for home brewers! Quadrupel (Chimay clone). I tried to reproduce 2008's clone beer, it resulted in a suprisingly good beer. Weizen. Directly comparable to a Weihenstephan Hefe Weissbier. Already achieved 84 points at the ONK 2007!